How can someone be very successful in high end real estate, serve a distinguished clientele, donate time and money to the Make A Wish Foundation, be featured in many magazines and news outlets and STILL be the number one realtor in Las Vegas? 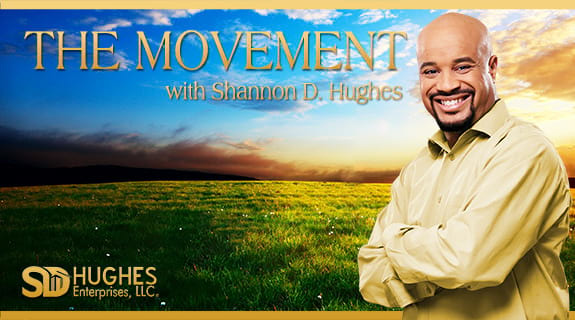 On the next episode of The Movement, host Shannon D. Hughes speaks to Mahsheed Barghisavar. Mahsheed will talk about her rise thru hard work and the roadblocks that tried to derail her. Also why she gives her heart to giving back to many organizations like the anti bullying campaign. That’s next time on The Movement. Mahsheed Barghisavar Has been one of the most preeminent residential Real Estate Brokers in Las Vegas Nevada’s Real Estate Market since 2006. Mahsheed has had over $100 million in sales and is currently one of the top 3% of Real Estate Brokers in Las Vegas. In 2014 Mahsheed was honored with the “Top Producer” award by Realty One Group. Mahsheed has been named YPNs ( Young Professionals Network ) Top 40 under 40 Realtor four years in a row in 2013, 2014, 2015 and 2016 and In 2016 Mahsheed was inducted in the YPN Top 40 Under 40 HALL of Fame.Prior to the Real Estate business, Mahsheed was a Managing Partner for her fathers Car Dealership in the Greater Las Vegas Area, focusing her attention on the Marketing aspect of the company as well as handling day-to-day financing and business accounts. At the age of 22, she began to invest on her own, purchased and flipped 5 homes as well as a commercial land lot all within one year.